restful holiday although I am sure we are all back to work in full swing now. there are topics you would like to see addressed. I also plan to post links to all of my past Pediatric Feeding and Dysphagia Newsletters at no charge. They are getting older and while much of the information is still valid, we all know how quickly techniques, medicines, formulas, etc change in this field. So please keep that in mild if reading an older newsletter edition. 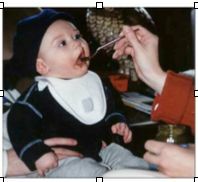 I am also in the planning stages for my 2015 feeding workshops on using a medical, motor, and behavior approach to feeding. I recently gave a workshop in Greenville, NC to the therapists at Venture Rehab Group which was a lot of fun.Thanks Venture Rehab Group! Motivations, Inc., http://motivationsceu.com/, is working on Summer and Fall dates. I will start this year with a few short posts with some updates, news and links. I will keep everything in separate posts for ease of archiving the topics. Do you have any more information on the conference in Logan Utah? Will it be through Motivations? Thanks.